9,000W Petrol Powerlite Generator, powered by a GX630 Honda twin engine with electric start, 18 litre long range fuel tank and battery. 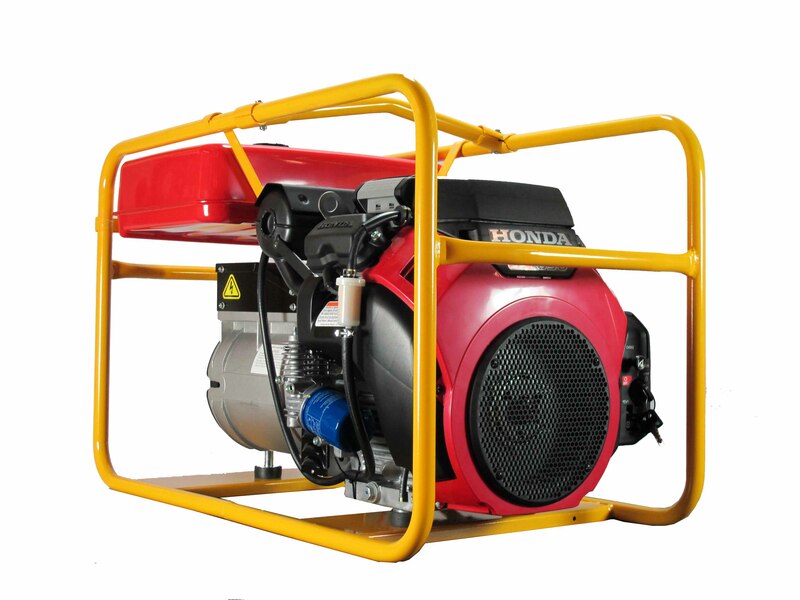 Manufactured in Australia the PH110ET generator is mounted in a powder coated heavy duty compact roll frame and the Honda engine is paired with a Mecc Alte Alternator, giving it an industry rating of 11kVA. 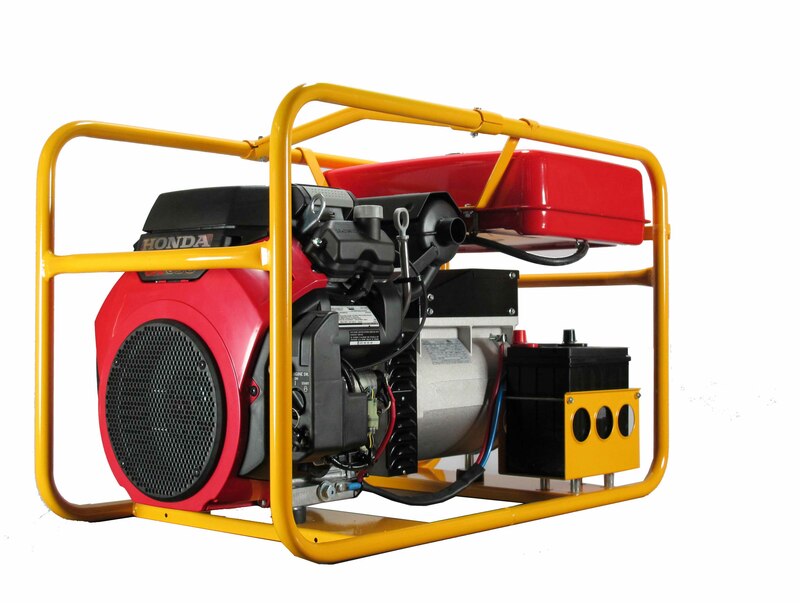 This reliable generator fully complies to the Australian Standards and holds 18 litres of fuel and when being used at maximum power uses 2.5 litres of fuel per hour. Its range of uses includes powering portable electric tools, 200 Amp welder (on general cycle 2.5mm rods), shearing plant, air compressor (with engine motor up to 3kW), heaters, lights, and appliances. It also features excellent motor starting and welder performance, provided that the total power consumption at any one time is less than 9,000W. Options include: Wheels and handle roll frame, earth stake kit, WS2G – 2 gang protection module, WS4G Work Site / Hire Spec 4 gang protection module or WS6G Work Site / Hire Spec 6 gang protection module … please see Options or Work Site / Hire Spec for more details. Model also available in electric start three phase PH110ET-3. 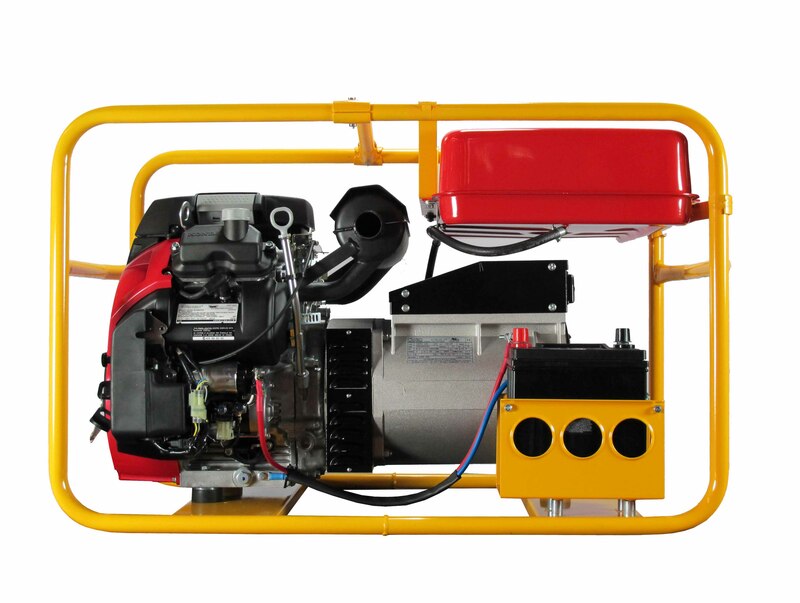 9,000W Petrol Powerlite Generator, powered by Briggs & Stratton, Vanguard with electric & recoil start and battery.